Most living things are made up of one or more cells. 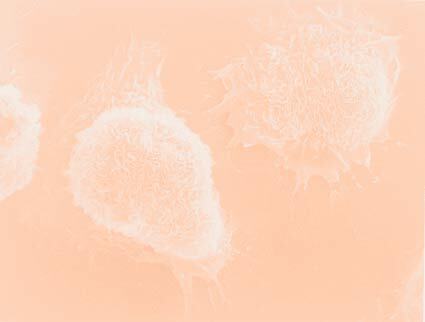 These are more cells from our bodies and from plants. Plant leaves have stomata, openings that allow carbon dioxide to enter, which is used for photosynthesis. 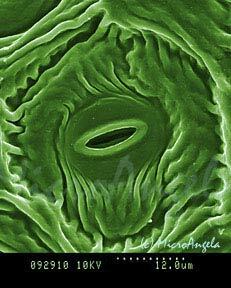 Stomata have central openings surrounded by two photosynthetic guard cells. Usually stomata are open during the day and closed at night, but they can close if the leaf begins to dehydrate. Guard cells change the shape of the opening by changing their own shape. Ohia is a native Hawaiian tree that grows on the slopes of volcanoes.